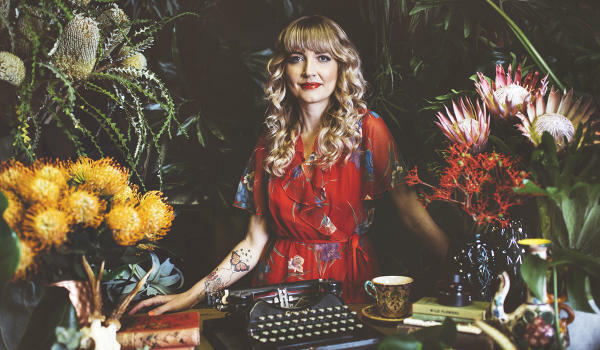 Bruna Papandrea’s Made Up Stories announced today that they have the acquired the screen rights to The Lost Flowers of Alice Hart, the hit Australian novel from debut author Holly Ringland and will be developing the project for television. Originally published by HarperCollins Australia in March 2018, the sweeping, coming of age drama has placed in the top ten bestsellers lists for the country. U.S. publication by House of Anansi is set for March 2019 and publishing rights have sold to over 25 territories. The Lost Flowers of Alice Hart tells the story of a young girl whose violent childhood casts a dark shadow over her adult life. After a family tragedy, nine-year-old Alice Hart is taken in by her estranged grandmother, June, a flower farmer who raises Alice on the language of Australian native flowers, a way to say the things that are too hard to speak. Papandrea will produce the series alongside Jodi Matterson, Casey Haver and Steve Hutensky for Made Up Stories. “Holly has created a distinctive and powerful novel that is a compelling tale of female resilience. This story is told with authenticity, courage and love and we are thrilled to be bringing it to the screen,” said Papandrea. Zeitgeist Media Group Agency negotiated the deal on behalf of Ringland. Made Up Stories is a development, production and finance company committed to creating content with compelling female figures squarely at the center and enabling female directors, writers, actors, and fellow producers to tell the stories they want to tell. Founded and run by Bruna Papandrea, the award-winning producer of the HBO limited series “Big Little Lies” (8 Emmy Awards, 4 Golden Globe Awards, etc. ), and the feature films WILD, GONE GIRL” (over $365 million in worldwide box office), WARM BODIES and MILK, Made Up Stories produced in its first-year acclaimed filmmaker Jennifer Kent’s THE NIGHTINGALE, which premiered to critical acclaim at the 2018 Venice Film Festival, and rising filmmaker Abe Forsythe’s LITTLE MONSTERS, starring Lupita Nyong’o and Josh Gad. Additionally, on the television side, the company is in production on the upcoming TNT series, “Tell Me Your Secrets,” written by Harriet Warner and directed by Caméra d’Or winner Houda Benyamina; and in post-production on Meaghan Oppenheimer’s “Queen America,” starring Catherine Zeta-Jones and directed by Alethea Jones, which received a 10-episode, straight-to-series order by Facebook’s new video platform, Facebook Watch.